The Meadows Casino recently concluded its fundraising event successfully. It raised $20000 for Monongahela Valley Hospital through its annual blackjack tournament. It was the second year for the tournament that was launched to benefit the hospital and it has proved a successful endeavour for the casino and the hospital as well. The proceeds for the tournament will be used to develop the centre for breast cancer at the hospital. The centre is developed to focus on all aspects of breast cancer from prevention to treatments. The funds are used to renovate the existing facility. The testing area is going through a complete revamp. The hospital is also adding a new staff member especially to help patients for the entire cycle of their treatment. The development of the unit is planned so that it can provide patients with full range of care for the cancer. The hospital hopes to develop the centre as a place that can help patients with early detection of the disease and help them through a complete treatment plan. 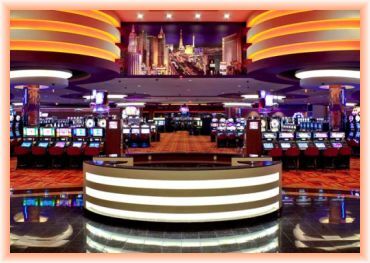 The Meadows Casino in Pennsylvania hosted its second fundraising event to great success. The invitations were sent to blackjack regulars and high rollers who would have loved to play the game and play with top dollars. The event was held in February and gave players several ways of funding the cause. There was of course, the blackjack tournament but, the event itself was promoted as a fun experience supporting a good cause. For those who wanted to support the cause, but didn’t want to gamble; the casino had a fantastic entertainment package for them that included food and drinks for just $35. There were around 70 seats for the tournament and the fee was $250. The prize money was $5000. The thriving Gibraltar online gaming industry is about to feel some pain in the form of a 15 percent tax for British citizens who use the popular sites. British Prime Minister David Cameron and leading Parliament representatives appear determined to pass this new tax in 2014. Gibraltar online casino owners have zero say in the decision. The failure of Gibraltar online casinos to pay the same tax rate as British online casinos has come under fire. British companies already pay that 15 percent tax, so leaders argued Gibraltar companies should play by the same rules. British residents place 70 percent of all bets on Gibraltar online gaming sites. The fortress city has 25 online casinos. 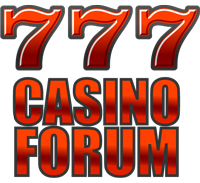 Many casino companies feature several sites. The new taxes should take effect in December 2014. These laws will require Gibraltar online casinos to take out British gaming licenses if the company deals with British players. While many British online casinos applaud the action since it levels the playing field, mega-companies based in Britain like William Hill and Ladbrokes will get hit double since they also own Gibraltar sites. Gibraltar’s online gaming industry dates to the late 1990s. The 6.7-square-kilometer promontory previously hosted a land-based casino. Also known as “The Rock,” the town has 30,000 residents. Online gaming is a significant industry with 2,500 employees. Online gaming corporations based on The Rock have tried to fight the new taxation regulations to no avail. 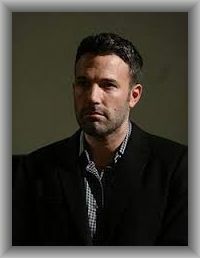 they set up a hefty legal defense fund and litigated before courts in the European Union, also to no avail. The good news for Gibraltar online gaming companies is their continued rapid growth and selective operating environment. Hundreds of operators want to get in on the action, but are screened out by a stringent approval process. Local online gaming operations have the lowest number of consumer complaints in the world. Gibraltar is considered one of the most competitive, and safest, online gaming market sites in the world as well. Although rival casinos may compete for players, they work together when it comes to busting card cheats. All across the English-speaking world, casinos use sophisticated systems to warn each other about known cheaters. With the photos and names of dishonest players at hand, casino surveillance officers can be ahead of the game when a cheater walks in the door for the first time. Thanks to a mutual self-interest, the use of an intelligence network is becoming increasingly popular with super casinos. The director of one of the world’s largest casinos, the Mohegan Sun, said that when an incident takes place at a rival casino, he knows about it in less than an hour. 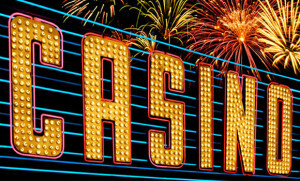 Within the day, the same information is sent to all of the major casinos along the East Coast of the United States. One of the pioneers in casino intelligence sharing, the Mohegan Sun began the practice over a decade ago. Today, the Connecticut casino is continuing to improve on security procedures by paying workers to monitor 4,000 cameras. As security officials scan the cameras, they are watching the behavior of dealers just as closely as they are watching the players. If they happen to spot a familiar face, security officials will monitor the suspected cheat before heading to the floor for a confrontation. With all of these high tech security measures being implemented, casino cheats are becoming an increasingly rare phenomenon. As their photos are broadcast to nearby casinos and even to casinos in other countries, cheaters may have no place left to practice their craft. According to the Division of Gaming Enforcement in Delaware, cheaters could once hit multiple casinos in an hour. 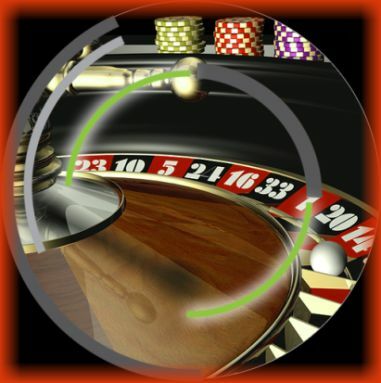 With so many potential targets, quick information sharing between rival casinos became a necessity. Although the use of invisible ink may be uncommon, card counters are still a frequent headache for casino managers. Despite not breaking any laws, these advantaged players are capable of tipping the odds in their favor. As old-fashioned cheaters begin to die off, casino surveillance systems may start to focus more heavily on identifying and sharing information on known card counters. International Game Technology (IGT), the largest developer of slot software and machines in the world, announced an impressive 41-percent profit increase for the third quarter. When IGT ventured into online slots in 2005, not everyone was onboard, including many of its shareholders. There was undoubtedly money to make in the online sector, but historically, that market had been cutthroat, fickle and inconsistent. For this Nevada-based company, there was also the issue of looming online gambling laws in the U.S., and the UIGEA did go into effect May of the following year. Today, IGT isn’t just still the top dog in the industry; it’s also the brand experiencing the greatest and most consistent level of growth. IGT’s most recent expansion, a Canadian-based contract, resulted in slot machine sales being up by 12 percent to $259.2 million. Furthermore, the company’s interactive revenue has jumped a whopping 69 percent to $72.5 million overall. In fact, the only area where IGT witnessed any regression at all was in networked machines, both online and in traditional casinos; that revenue fell four percent down to $247.2 million. Despite significant concerns over the volatility of the market, the decision-makers at IGT held firm to their vision. In retrospect, one of the key decisions was to purchase WagerWorks rather than build a new online presence from the ground up. WagerWorks gave them proprietary software technology, an established presence in the market and a revenue stream that was already in the black. WagerWorks also provided IGT with some important licenses, such as Star Trek and Ghostbusters as well as some of the most popular slot machines in brick-and-mortar casinos. For a company like IGT, the issue with an online slots division is that, as CFO John Vandemore puts it, “it feels the brunt of consumer discretionary challenges.” IGT has been able to overcome this, however, by building a recognizable online brand that players associate with some of the biggest licenses and largest progressive jackpots. Perhaps the most exciting aspect of IGT’s success is that there’s no indication of it slowing down. IGT has also been very aggressive about maintaining it; for instance, last year it purchased Double Down Interactive, a developer of socially networked casino games, and revenue on just the Double Down game is up 40 percent to $680k daily.